Dr. Michael Will received his Doctorate of Medicine (M.D. ), with Dean’s Honor Roll recognition, from Wayne State University, Detroit, Michigan. Prior to receiving his doctorate in medicine, his undergraduate studies in biology at the University of Miami, Coral Gables, Florida, and the Lyman Briggs School of Natural Science at Michigan State University, East Lansing, Michigan, laid the foundation for his pursuit of a career in family medicine. During his years at MSU, Dr. Michael distinguished himself in extensive gene research working on sophisticated immunologic concepts and experimental protocols. His work contributed to two published papers critical to the development of the OAS1 gene to abnormal pathways. Dr. Michael’s passion for helping others and giving back to the community has manifested in a church mission trip to Africa and completing his Family Residency Program at MidMichigan Health University of Michigan Health System in his hometown of Midland, Michigan. 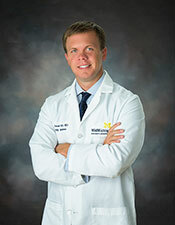 When Dr. Michael is not at the clinic, he is active in golf and other sporting activities. Dr. Suzanne M. Quardt also known as “Dr Q”, is a board-certified Plastic Surgeon who serves as the Chief of Plastic Surgery at Eisenhower Medical Center in Rancho Mirage. 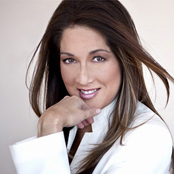 She is originally from New York and trained extensively in surgery for over 10 years at USC. This included a post-graduate fellowship in Aesthetic Surgery, with several research publications. Dr. Q has received a letter of recommendation and endorsement from the famous Dr Oz. She performs all aspects of plastic surgery, specializing in breast surgery, body-contouring and the latest “Liquid Facelift”. Her bedside manner is described as warm and compassionate. Dr Q’s motto is “A Surgeon’s Hand With A Woman’s Touch”!